Volvo's most popular crossover gets a luxury cosmetic option package for 2015 in anticipation of a redesign next year. Adding premium leather upholstery, wood inlays, unique floor mats and 20-inch 10-spoke wheels, the new Inscription package transforms an already Swede ride into a downright sumptuous occasion, but the Volvo XC60 is otherwise unchanged for 2015. As for the 2016 redesign, Volvo isn't saying anything, and nobody has spied one yet. The most likely route will be in lockstep with the S60 on which the XC60 is based, but that too doesn't offer much information. We may see some engine tweaks and a few revisions to usable space, but outside of new in-dash technology, don't expect many huge changes in any noticeable realm. The architecture is expected to be completely new, but that doesn't mean Volvo's goals or methods are changing anytime soon. Indeed, other than the navigation system being a touch difficult, drivers couldn't praise the current XC60 any higher. Professional reviewers criticize the XC60's fuel economy and the base engine's acceleration, but real-world drivers don't seem to mind at all, instead calling it fun to drive and, quite flatly, the best car they've ever owned. The base 3.2-liter, 240-hp and 236-lb-ft/torque inline 6-cylinder (I6) may not be the most impressive motor on the market, what with 9.1 seconds to enjoy the view up to 60 mph and no better than 18 mpg city/26 highway in front-wheel drive (FWD) guise, but opting for all-wheel drive (AWD) drops that highway figure by only 1 point, and the entirely AWD rest of the lineup is only 1 point worse than that for an estimated 17/24. If an auto-dimming rear-view, rear privacy glass, keyless ignition/entry, panoramic sunroof, leather upholstery and a configurable instrument display aren't on your shopping list, the base 3.2 trim affords everything from roof rails to heated mirrors by default with a sturdy naturally aspirated engine and the most affordable price point. You can upgrade the 3.2 to Premier for the features just listed, or take on the bigger engine and all those features with the mid-level T6 Drive-E trim. Topping out the line is the T6 R-Design, which adds a sport-tuned suspension, special badging, sport steering wheel and sport seats in addition to tweaks on the T6's engine. Powering both the T6 Drive-E and T6 R-Design is a turbocharged I6 displacing 3 liters. It puts out 300 hp and 325 lb-ft of torque in the T6, but it's boosted up to 325 hp and 354 lb-ft of torque in the T6 R-Design. Both get the same economy estimate, but the T6 hits 60 mph in 7 seconds, whereas the R-Design does the same in 6.2 seconds. Either way, every engine is paired with a 6-speed automatic transmission and available with Platinum, Premier and Premier Plus upgrade packages. 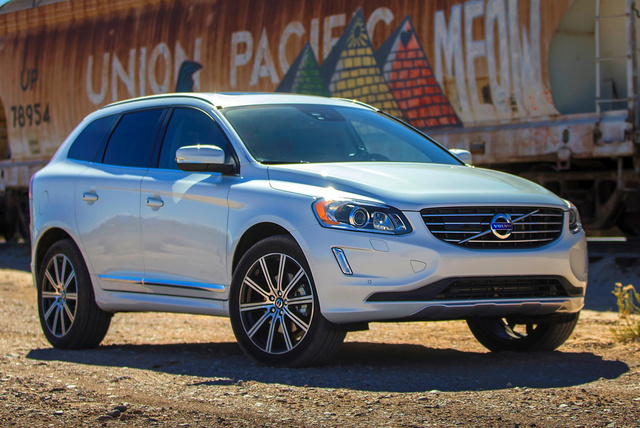 What's your take on the 2015 Volvo XC60? 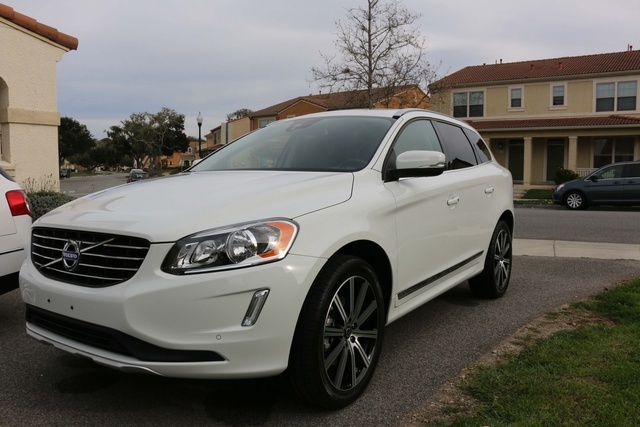 Have you driven a 2015 Volvo XC60? I changed the bulb, checked the fuse but my left rear brake light is still not working. I don't know what else to do? Where is radio reset hole? 2015.5 XC60. How Do I Get A Scan Function Working On The Radio?